Clifford Sparling joined Sir George Williams College in 1952 as assistant professor of mathematics. 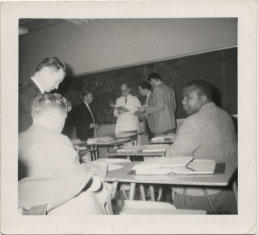 In 1956 he was appointed associate professor of mathematics. From 1965 to 1972, he occupied this position on a part-time basis. He died in 1983, at the age of 87. These documents were donated to the Concordia University Archives by Elsie A. Sparling, widow of Clifford C. Sparling.